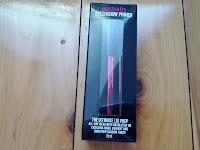 A little while ago I was looking on the Australis website at their Paparazzi Perfect HD (PPHD) products as I was interested in trying them to see how well they photograph for my blog. In certain lights the camera picks up bumps and red undertones that you don't see in your bathroom mirror (Especially mine since it isn't a great camera :/). So these products are supposed to give you a flawless base that photographs well under any light. So off I went to the shops to try them out. I was a bit disappointed that the PPHD foundation was slightly too dark for my pale skin. I really wanted to try it, but didn't want to waste $20 on something that is the wrong colour just so I can see how it photographs. 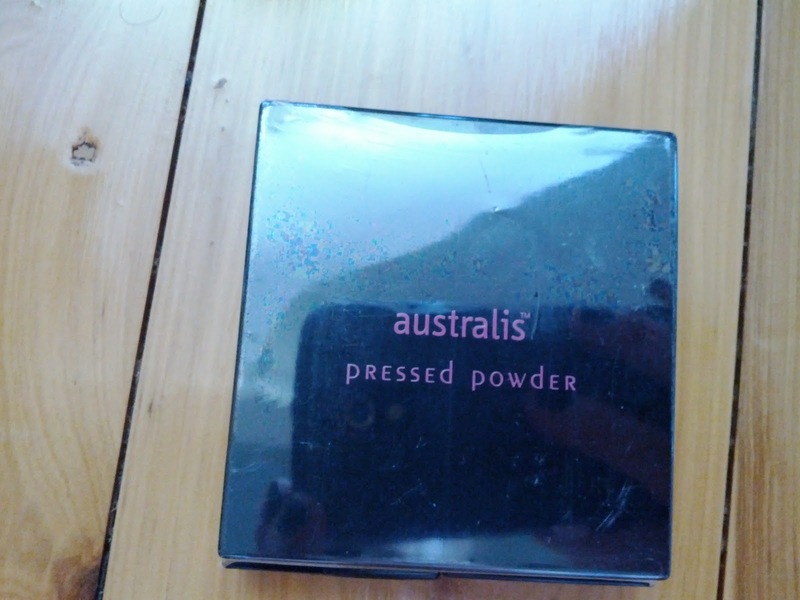 So instead I ended up looking at their "Pressed Powder." 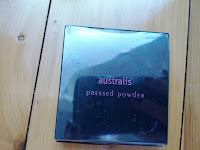 This is a nice light coverage powder with a matte finish. They also had their eye primer there which I also got. I have never used an eye primer, so I am really excited to use it. I have a deep crease line, so I was hoping this will hide it. I will do a update on it so you can see the difference. I have used it a few times and found it was amazing. I also picked up their 3-in-1 wipes. This removes your make up while also toning and moisturising your skin. I bought these so I can keep them on my bedside table and then I will never have an excuse for not taking my make up off at night. 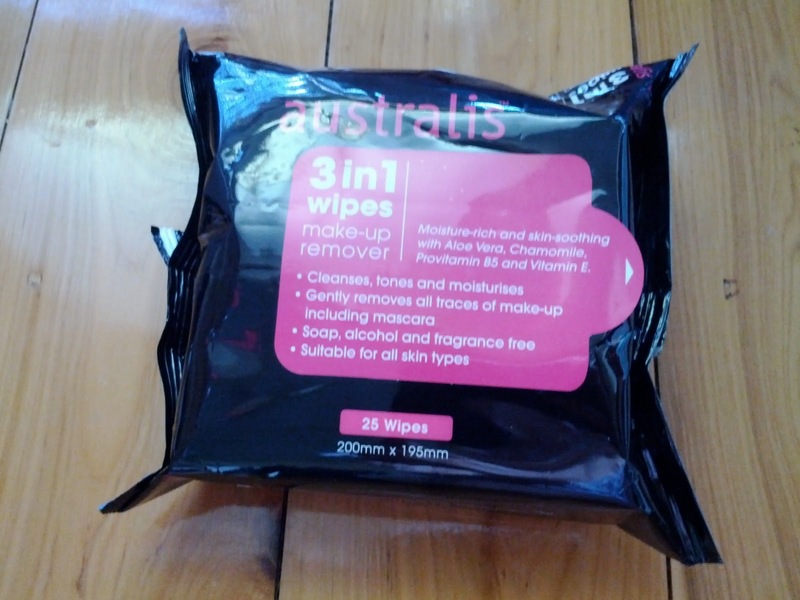 I like that it is fragrance free and alcohol free so it won't dry out my skin like some make up wipes do. They had a special promotion on at the time, which was that when you spent $25 or more you get a free brow kit. It is absolutely adorable! It contains a brow wax, powder, brush and tweezers. I don't know if they still have the offer on anymore. 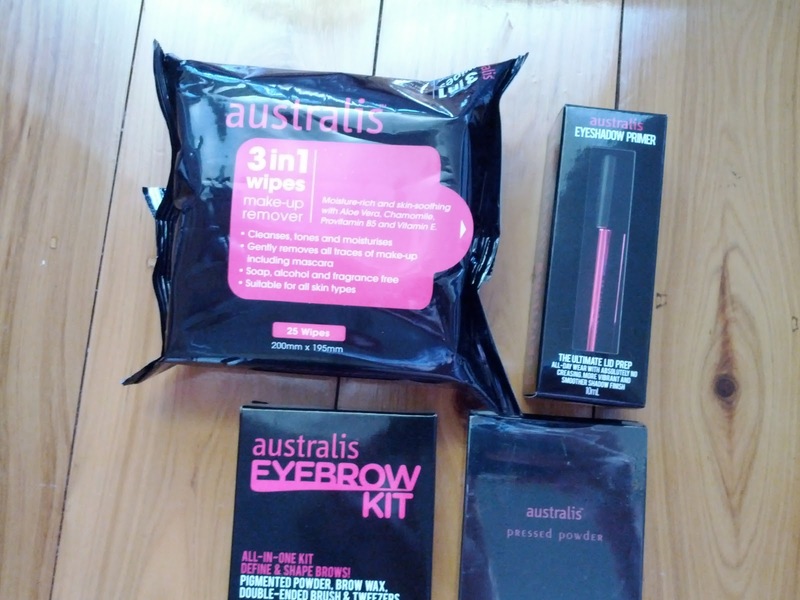 But according to their website it is available while stock lasts at Priceline, Target and Big W.
Have you tried Australis products? What is your favourite one? The eye primer is great and those wipes are the only ones I like, most irritate my skin but not Australis. 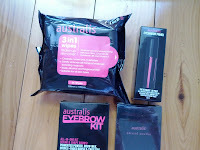 Im'quite interested in the brow box, it looks pretty good. Alas, got quite a bit to go before I finish my current box, and I'm trying not to buy more make up until I get a better storage solution in place! PS, have you ever tried either Too Faced Shadow Insurance or Urban Decay's Primer Potion? 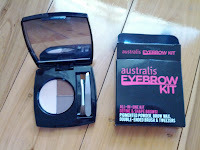 I can't live without either of these two and I'm curious to see how the Australis one compares! I am loving the eye primer. Hopefully this week I will do a post on it. Just have to get a few pictures taken so you guys can see the difference it has made to my crease.